Zinc Oxide is derived from the rare mineral zincite. It was mentioned as a skin treatment as far back as 500 BC in Ayurvedic texts, and in ancient Greek medical texts in the first century. It can be found as the active ingredient in skin products such as calamine lotion, diaper rash cream, anti-dandruff shampoos and antiseptic ointments. Zinc oxide is approved by the FDA for use as a food additive. It has been listed as an ingredient in breakfast cereals as a source for zinc. Hulda Clark mentioned using pure Zinc Oxide in her books as a food-grade replacement for commercial deodorant. She pioneered the concept that we should only use skin products that are safe enough to eat. After all, our skin absorbs whatever we apply on it through billions of pores all over our body. Toxic chemicals in body products find their way into the liver and other vital organs, wreaking havoc on our health. When I was a new mom looking for a solution to diaper rash, I found that nearly all diaper rash creams list Zinc Oxide as its active ingredient, but the petroleum base it was in made me put that cream back on the shelf. It seems counteractive to have a known allergen and skin irritant as the base of an ointment that’s supposed to treat a diaper rash. So I went back to Hulda Clark‘s recommendation and used pure Zinc Oxide to treat my baby’s diaper rash. It worked overnight! It made me feel at ease knowing I was not exposing my developing child’s immune system to a cocktail of harsh chemicals, whose sole purpose seems to be to prolong shelf life. 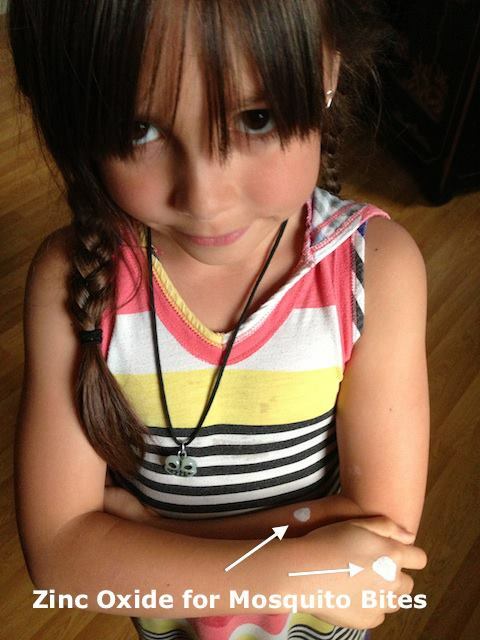 Now that my daughter is grown, we still use Zinc Oxide to treat skin problems such as insect bites, pimples and all kinds of blemishes. When she caught chicken pox, Zinc Oxide kept her itch-free and under control. 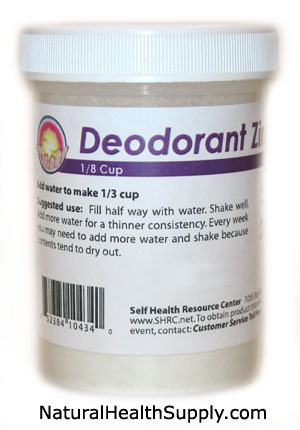 Zinc Oxide, labeled as Deodorant Zinc Oxide at NaturalHealthSupply.com, comes as a pure white powder in a plastic cup. Just add water and shake to make a cream. It’s inexpensive and lasts a long time. The cream dries up after a while, but add a little bit of water, shake and it comes back to being a usable cream. Try it and see what pure food-grade Zinc Oxide can do for your skin.